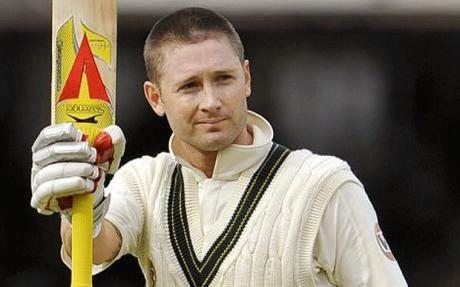 I think I’m experiencing a small infatuation with Michael Clarke! Just a little bit sad maybe… ? It started with his outstanding batting form in the test series against South Africa, and was cemented when I heard his emotion on the retirement of Ponting. Given that ABC Local (and therefore Grandstand when that takes over) has become my ongoing link to the wider world since I left behind the luxury of TV, it’s not surprising that he’s been in the forefront of my attention in this cricket season. Unlike my reaction to other cricketers, when I do happen to catch some TV footage of him in a caravan park camp kitchen, or sadly find myself doing a Google search looking for pics, I am not disappointed! Loving those arms, tattoos and all. 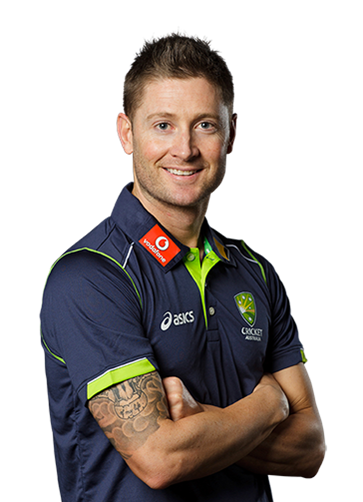 This entry was posted in Uncategorized and tagged cricket, Michael Clarke. Bookmark the permalink.